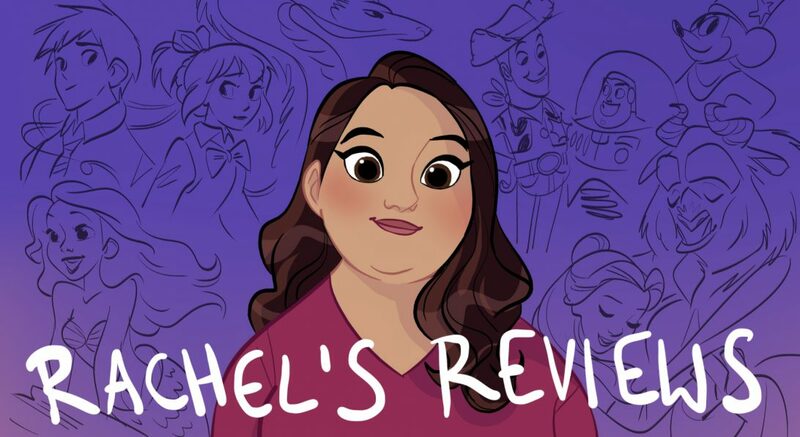 This week for Hit Me with Your Best Shot Nathaniel over at Film Experience has given us a different task. Instead of our normal film watching and picking a great shot, we are asked to look at 2 short films and pick shots. Both shorts are scifi films and I think they are both fine but not my favorite. This 6 minute short is by Stephan Zlotescu and it has recently been picked up as a series for Amazon and I can see why. It feels like a pitch or pilot for a TV series rather than a stand alone film. True Skin is about a future society where augmenting our bodies is the norm and only beggars and outsiders have their natural bodies. Our main character has journeyed to Bangkok to get a chip in his eyes and when it is installed he realizes he is going to die. But in the world of this movie it is actually a good thing because he can take the step ‘to live forever’ as a robot. It does look very impressive and is an intriguing premise but to me that’s all it was is a premise. That leaves me feeling slightly unfulfilled but I’m sure the upcoming series will fill in all the holes and tell the actual story. For what it is, it’s pretty creative and I’m glad I watched it. I thought this was a pretty cool shot of the lead character just after he installs the new eyes. I’ve talked about World of Tomorrow a little bit in my reviews of 2015 animated shorts but never given it a complete review. The truth is I never did because I kept waiting to understand why it is as brilliant as I keep hearing. It seems like kind of similar to Watership Down- a book and movie I didn’t get at first but eventually it finally clicked. It could happen with World of Tomorrow but as of my 10th viewing I must be honest- I don’t really get it? 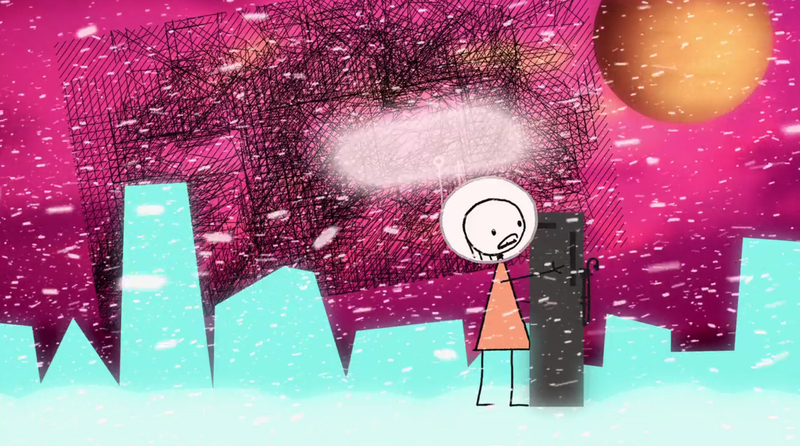 Directed by Don Hertzfeldt, World of Tomorrow, still seems like a lot of science fiction mumbo-jumbo that is more trying to appear smart rather than actually being smart. Basically the story is a little girl meets a clone of her future self. She finds out about the new world of cloning and is shown 3 memories from her upcoming life. The first memory is Emily visiting an exhibit in a museum displaying a male clone named David. The second memory is of Emily’s first job programming robots. Emily falls in love with a rock and is fired. Then the third memory she falls in love with a clone of David named Simon. This is after falling in love with a fuel pump. Emily is hoping to get a memory that only Emily Prime has and warn her about appreciating life because there are only 60 days left on earth. I don’t know. I guess World of Tomorrow is just smarter than me because I don’t get it. Yes, appreciate the moments of life- how profound…I can learn that from a Hallmark card. I don’t see why this is so brilliant? If you want to watch something great about memories watch Hirokazu Koreeda’s film After Life or Albert Brooks’ Defending Your Life. Those have much more nuance and subtlety about life, memories and living well. Even Inside Out was much more insightful on this topic with the memory balls and core memories. None of those films are trying so hard to be important like World of Tomorrow is. They are just good stories with characters we get to know, so we care about their memories, the world building and what is happening to them. I really have tried to love World of Tomorrow. I don’ t hate it but I fail to see what makes it as special as other people seem to think it is. I’ll let you know if on subsequent rewatches it finally clicks for me but for now that’s my story and I’m sticking to it. Anyway, for my best shot I have the scene where Emily falls in love with the fuel pump just because I thought it was weird.